Orthodontic treatment for children and teens may vary according to the degree of severity and age. 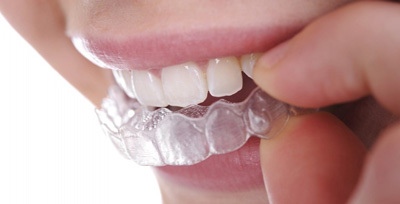 Braces and aligners are used for kids and teens when it is necessary to straighten those crooked teeth. While Kids don’t have much of a choice, teenagers may feel reluctant & embarrassed to wear braces as it stands out whenever they smile and are more likely to opt for retainers which are less visible. An orthodontic assessment is advised for kids between 7-13 as symptoms of an irregular bite or crooked teeth being to appear at an earlier age, this is also the most optimum period as treatment is easier compared to when they grow up. Kids teeth are more malleable thus easier to provide correction, as they grow older the teeth become sturdier and less malleable. V.V Dental Hospital ranks amongst the best dental care provider in Anna Nagar, whether in Kilpauk or in Mogappair you are welcome to drop-by our dental clinic for an assessment. Our orthodontist can help in assessing the right device for your kid or teen according to their requirement. At, V.V Dental Clinic in Kilpauk we provide a wide range of braces and aligner options to choose from, be it colour, or material get a retainer which suits them, so they can flaunt their style without feeling embarrassed. Our team of orthodontic specialist can treat patients regardless of young or old, but, if an assurance is necessary, we also have special pediatric dentists who excel at handing orthodontic cases of the young ones. Visit us as it’s our job to give your loved one a beautiful smile.